You know when you forgot your headphones and you’re in public and don’t want everyone to hear your music so you turn it down to the lowest volume and press your phone against your ear? 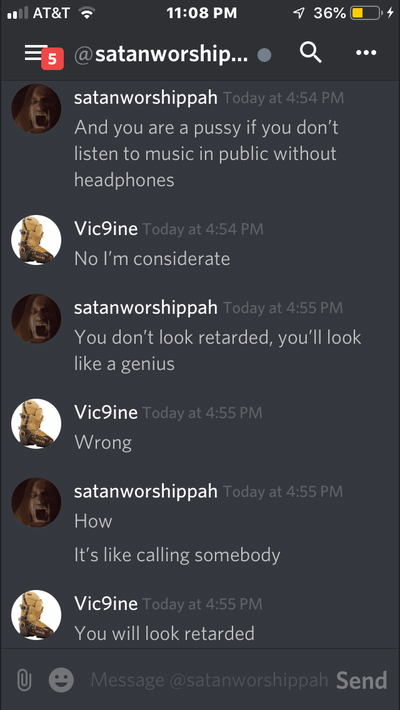 Yeah, he thinks that’s retarded. No it is not retarded, and it does NOT look idiotic. I asked a lot of my friends if they did the same thing and they all said yes. If you do this, this just shows that you can’t live without music and that you are constantly in need of some tunes. That’s cool. Ngl I’ve done it before, but it still looks retarded.